For quite a while, primarily because of lengthy commute times in Los Angeles, I’ve been regularly listening to audio lectures from The Learning Company in their Great Courses series. 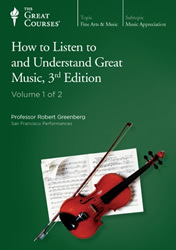 Last fall I came across a four volume collection entitled How to Listen to and Understand Great Music taught by the dynamic and engaging professor Robert Greenberg. I was immediately entranced and have vowed to work my way through his entire opus of lectures. At the time I wasn’t quite sure how many there actually were, though I was aware of at least four others I’d come across on library shelves, and I prayed that there would be one or two more to carry me through a couple of years. If I needed to, I was fully prepared to listen to everything two or three times to really soak it all in the way I’ve done with repeated viewings of television shows like The West Wing. When I was partway through the series, I made an update to my Goodreads.com reading list with a short snippet about my progress. This progress update fed through to Twitter whereupon I was pleasantly surprised to receive an encouraging comment by Professor Greenberg, who apparently takes the time to search social media for mentions of his work and to respond to students. A brief correspondence with him revealed that he’s recorded far more lectures than I could have dreamed – an astounding 26! Robert Greenberg to the rescue! Given the magnitude of his opus, this obviously may not be everything, but will provide the tyro as well as the expert a clearer path through some fascinating work. I’ve presently worked my way through 3 of his courses (72 lectures comprising 54 hours of material), so I’ve only barely scratched the surface, but I couldn’t be more enticed and satisfied with what I’ve consumed so far. His engaging lecturing style, the melodic quality of his voice (not too far from that of renowned announcer and voice artist Casey Casem – though with out the “big bottom” common to radio personalities of this type), and the dynamic range of his emotion make these series more entertaining that most of what is on television these days (and keep in mind I consume a lot of television). Even better, I’m always learning something while I’m listening. I would dare to say that even if he “phoned in” the remaining lectures, they’d still be at an absurdly high quality level, and I would still want to devour them all. 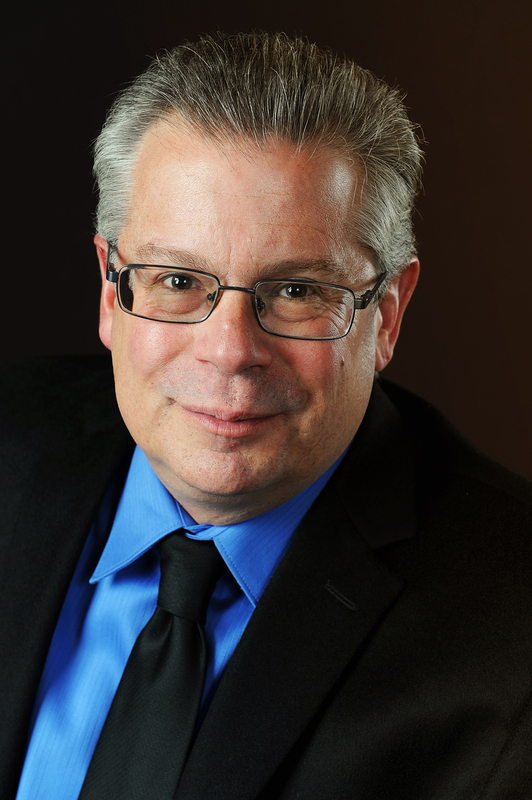 For others who are (or are soon sure to become) fans of Robert Greenberg, you can find him easily on Twitter and Facebook.